John Berggruen Gallery is pleased to present an exhibition of paintings, sculptures, and works on paper by acclaimed artists Doug Aitken, James Lee Byars, Vija Celmins, Pedro de Movellan, Spencer Finch, Stephen Hannock, Suzanne McClelland, Iran do Espirito Santo, Kiki Smith, and Rudolf Stingel. While dissimilar in their approach, these artists are joined by their investigations into a single theme—light. From developing techniques for portraying such diverse light sources as the sun or cosmos, to the utilization of light-reflective media awakened by the play of light on its surface, to the deployment of light as medium in its most basic form—the light bulb—which itself functions as both medium and subject, these artists offer the viewer a myriad of approaches to depictions of light in its various forms. 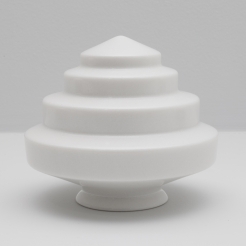 Reflections, Light, and Form will be on view September 3 – 26, 2015. John Berggruen Gallery will host an opening reception on Thursday, September 10th between 5:30 and 7:30 p.m. to coincide with the San Francisco Art Dealers Association’s First Thursdays. James Lee Byars (1932–1997, Detroit, Michigan) studied art and philosophy at Wayne State University. A chance encounter with expressionist artist Morris Graves prompted Byars to move in 1957 to Japan, where he would live for most of the next decade. Influenced by Shinto beliefs and Japanese Noh theater, Byars executed his first performance works—the medium for which he is best known—in Japan. Visiting New York City in 1958, Byars met Museum of Modern Art chief curator of painting and sculpture, Dorothy Miller, and convinced her to permit him to install a temporary exhibition of folded paper pieces in a Museum stairwell, thus beginning the first chapter of a long-standing relationship between the artist and the Museum. Always in pursuit of the intangible and inexplicable, Byars sought to raise profound questions related to life, religion, truth, and beauty through his art. These questions and the nebulous trains of thought they engendered were infinitely more interesting to him than the answers. He experimented liberally with different media, ranging from performance and costuming, to ink drawings and sculpture. Motivated by an interest in opulence and exotic materials, the monochrome gold motif is a hallmark of Byars’ late works, a nod to his self-mythologizing project. Peripatetic throughout his life and career, moving between New York, Venice, San Francisco, Kyoto, Bern, the Swiss Alps, and Los Angeles, Byars ultimately landed in Cairo, where he lived until his death. His work is featured in a number of important collections in Europe and the United States. 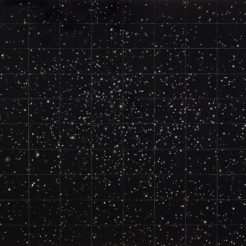 Vija Celmins (b. 1938, Riga, Latvia) immigrated to the United States with her family when she was ten years old, settling in Indiana. Early on, Celmins received international attention for her renderings—oil paintings, charcoal and pencil drawings, and prints—of natural scenes, often copied from photographs lacking a point of reference, horizon, or discernible depth of field. Armed with a nuanced array of blacks and grays, Celmins depicts these limitless spaces—seascapes, night skies, and the barren desert floor—with uncanny accuracy, matching a tangible sense of space with intricate detail. Retrospectives of her work have been organized by the Institute of Contemporary Art, Philadelphia (1992), also exhibited at the Whitney Museum of American Art, New York, the Walker Art Center, Minneapolis, and the Museum of Contemporary Art, Los Angeles; the Metropolitan Museum of Art (2002); and the Centre Georges Pompidou, Paris (2006), also exhibited at The Hammer Museum, Los Angeles. The artist currently resides in New York and California. Pedro S. de Movellán (b. 1967, Providence, Rhode Island) received his B.F.A. in sculpture from the University of Massachusetts at Amherst. The son of an abstract painter and an architect, de Movellán perfectly balances both influences in his own work, along with the influences of such modern masters as Alexander Calder and George Rickey. 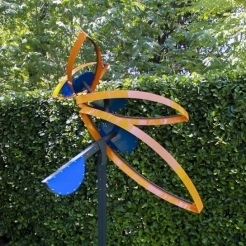 De Movellán is widely known today as one of the world’s foremost contemporary artists of kinetic sculpture. As such, he transcends the role of expressive artist, taking on the rigorous training of the engineer. Precise and refined in construction, yet unpredictable in motion and susceptible to the slightest of external influences, his sculptures invite playful curiosity and educated investigation into the physics of their careening forms. De Movellán’s explorations into light take form in the reflective surfaces of his sculptures, brought to life by their rhythmic pendulum-like movements. His work belongs to important private collections in the United States, Great Britain, Switzerland, Germany, and Saudi Arabia. De Movellán lives and works in West Stockbridge, Massachusetts. Spencer Finch (b. 1962, New Haven, Connecticut) is drawn to the elusive and the ineffable and approaches scientific investigation with the sensibility of a poet. 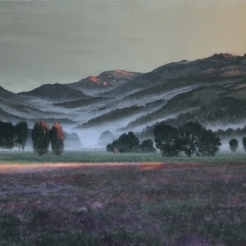 Known for collecting and recording data related to atmospheric light, weather patterns, and other of nature’s fleeting qualities, Finch masterfully reproduces these results using such innovative media as fluorescent lights, TV sets, household fans, even scotch tape, as well as more traditional media such as watercolor paint. He is driven by a persistent interest in light, color, and perception and the limitations of scientific methodology to study these forces and to achieve a complete understanding of their true essence when confronted with human imperfection and the inevitability of subjective error. Finch is probably best known for his electric-light installations, brightly colored fluorescent tubes intended to mimic natural light patterns, which are subject to the changing conditions of weather and atmosphere. Finch received his M.F.A in sculpture from the Rhode Island School of Design (1989). He has had extensive international solo and group exhibitions, including at the Morgan Library & Museum, New York (2014), The Art Institute of Chicago (2011), and the Solomon R. Guggenheim Museum, New York (2010). His work can also be found in the collections of the Hirshhorn Museum and Sculpture Garden, Washington, D.C., the Museum für Moderne Kunst, Frankfurt, Germany, and the High Museum of Art, Atlanta, GA. Finch lives and works in Brooklyn, New York. Stephen Hannock (b. 1951, Albany, New York) has lived and worked principally on the East Coast, first in Northampton, Massachusetts, where he studied under Leonard Baskin, and now in Williamstown, Massachusetts. A leading artist in the revival of American landscape painting, Hannock has been described as a "contemporary Luminist" and a "neo-romantic." Akin to his nineteenth century predecessors, Hannock is as concerned with atmosphere and light as he is with actual topography. His canvases appear to glow from within, an effect that is achieved through a technique the artist stumbled upon years ago. Unhappy with the outcome of a painting, Hannock sought to start anew by grinding down the layers of paint with a power sander. This sanding produced a remarkably luminous effect, and Hannock continued to employ this technique to create what he now describes as "polished oils." The result is a densely layered, highly lustrous painting. Hannock’s process has been likened to a palimpsest, a sheet of reused parchment in which the residual shadows of previously written ink or lettering are allowed to bleed through. Hannock’s work is featured in several important museum collections, including that of The Metropolitan Museum of Art, New York, the Museum of Fine Arts, Boston, and the Museum of Contemporary Art, San Diego. Suzanne McClelland (b. 1959, Jacksonville, Florida) lives and works in Brooklyn, New York. 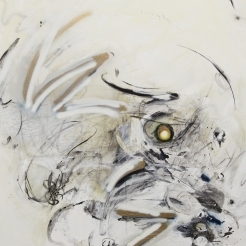 Her large-scale paintings and works on paper have their genesis in textual sources, drawing upon fragments of speech with political and cultural connotations then incorporated into dramatic abstract compositions. Her depictions of words and numbers—wiry, energetic, splashes of paint marred by scrapes and lines—give physicality to language. McClelland’s constellations of ciphers evoke the sounds of speech and, through the repetition of a single word, she poetically suggests the shifting, often elusive nature of its meaning. 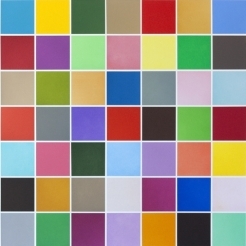 McClelland’s work has been exhibited at numerous notable institutions, including The Whitney Museum of American Art (2014 and 1993 Biennials) and The New Museum of Contemporary Art (2013). Iran do Espírito Santo (b. 1963, Mococa, Brazil) subverts Minimalist tradition with his abstracted sculptures of familiar everyday objects made strange by their disorientating size and incongruous materials, including granite, glass, steel, copper or stone. His body of work is unified by a concern for the tactile qualities of these various materials—the artist often eliminates all surface imperfections so as to highlight the design and geometry of the form in question. Espírito Santo is internationally acclaimed and his work is included in many prominent museum collections, including the Museum of Modern Art, New York, the San Francisco Museum of Modern Art, and the Solomon R. Guggenheim Museum. Espírito Santo lives and works in São Paolo, Brazil. 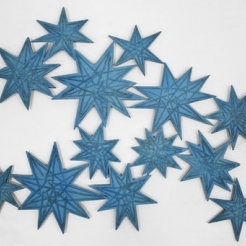 Kiki Smith (b. 1954, Nuremberg, Germany), daughter of sculptor Tony Smith, grew up in South Orange, New Jersey. Only briefly enrolled at the Hartford Art School in Connecticut, Smith is virtually self-taught. Working in a wide variety of media—from sculpture to printmaking, large-scale installations to textiles—Smith is known for her investigation of the human experience, encompassing such themes as spirituality, mortality, and the relationship of humans to the greater cosmos. In 1985, propelled by the recent death of her father and her ensuing interest in the human body, Smith became an emergency medical technician. She continued to make art during this period, and her work today reflects an ongoing interest in the body as a site for negotiating various ideological, social, and political issues and expertly bridges the divide between the spiritual and the scientific. Smith’s work has been featured in solo exhibitions at the Walker Art Center in Minneapolis (2006), the Museum of Modern Art in New York (2003), and the Centre d’Art Contemporain in Geneva (1990). She lives and works in New York City. Rudolf Stingel (b. 1956, Merano, Italy) is a New York based artist whose work challenges the viewer to critically consider their own perceptual experience in viewing art. In doing so, he asks his audience to evaluate current notions about painting as a means of communication and expression. Stingel’s works frequently mobilize conceptual and installation art to investigate the creative process. Often, the artist uses inexpensive and readily available materials ranging from Styrofoam to carpet. The surfaces of Stingel’s two-dimensional works are frequently carved, indented, or otherwise altered, providing visible, physical evidence of his interest and engagement with industry and industrial matter. Stingel participated in the 1999 and 2003 Venice Biennales, and was the subject of a mid-career retrospective at the Museum of Contemporary Art, Chicago which traveled to the Whitney Museum of American Art (2007).